Key difference: Hunting is a sport which involves the stalking and killing of wild animals. These animals are then used either as food, or more commonly as a trophy or for trade. Poaching is basically hunting, when one without the right to do so. Poaching is nothing more that the illegal hunting, killing, or capturing of wild animals. It also means hunting without the license to hunt, or hunting animals that are endangered or protected. Hunting is a sport which involves the stalking and killing of wild animals. These animals are then used either as food, or more commonly as a trophy or for trade. Hunting may involve trapping and shooting an animal with bows or guns. The most common animals that are hunted are mammals and birds and are known as game. Poaching is basically hunting, when one without the right to do so. This means that hunting on another’s land, or on a land where hunting is prohibited. It also means hunting without the license to hunt, or hunting animals that are endangered or protected. Poaching is nothing more that the illegal hunting, killing, or capturing of wild animals. Modern poaching is mainly done for illegal trade of animal parts, such as hide, ivory, horn, teeth and bone. The main difference between hunting and poaching is that hunting is commonly done within hunting season and with an official hunting license from the government. Illegal hunting is often considered to be equitable to poaching. On the other hand, poaching is mainly done for trade or monetary gain, as the animal or more commonly parts of the animal are sold on the black market. This is a very lucrative trade, as there is high demand for alligator skin, snake skin, fox fur, elephant tusks, rhino tusks, etc. Whereas, hunting is mainly done a source of entertainment or for the thrill of the kill. However, there are many people that will claim that ethically there is no difference between Hunting and Poaching. Both Hunting and Poaching involves taking the lives of innocent animals for the sake of personal gain, whether that is monetary or entertainment. Some hunting advocates claim that hunting is an important component of modern wildlife management as it helps in keeping the animal population in an area under control, especially when natural predators are missing. However, it cannot be denied that both hunting and poaching have led to the endangerment, extirpation and extinction of many animals. 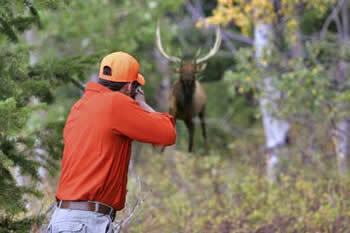 Hunting is a sport which involves the stalking and killing of wild animals. These animals are then used either as food, or more commonly as a trophy or for trade. Poaching is basically hunting, when one without the right to do so. Poaching is nothing more that the illegal hunting, killing, or capturing of wild animals. Illegal trading for valued parts of animals such as alligator skin, snake skin, fox fur, elephant tusks, rhino tusks, etc.